On 8th August 1918 the Allies began their Hundred Days Offensive on the Western Front. By the start of October 1918 the Hindenburg Line had been broken and throughout that month the Allies pushed the German armies back through the ground that had been gained in 1914. 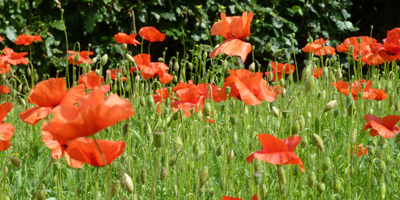 A hundred years ago today, at 11am, the Armistice which ended World War I was signed. In the time since 8th August our Centenary Fields Legacy campaign has been telling the story of one green space each day. These places of living remembrance are now protected in perpetuity, as part of our Centenary Fields programme. In this, the final week of the campaign, Centenary Fields Legacy has featured spaces from each of the four home nations as well as demonstrated how communities locally are marking remembrance. We have also told the stories of contributions from much further afield. It was on this theme that the week started in Smethwick, at Lions of the Great War (Monday). This space is a new memorial to soldiers from the Indian sub-continent who served in the British armed forces. It includes a three-metre tall bronze statue depicting a World War I Sikh soldier in full trench wear and bearing a rifle, standing atop a two-metre high plinth. 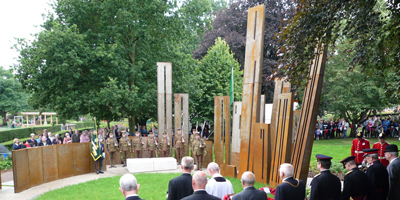 A dedication ceremony last Sunday saw hundreds from the local community take their opportunity to say 'Thank You' to the soldiers the memorial remembers. The contribution of members of the British Indian Army was also marked this week at Avenham and Miller Parks (Friday) in Preston. The space was used for training camps by armed forces during World War I to prepare servicemen and new recruits before posting to the Front Line. As part of a ceremony on Friday an interpretation board was unveiled marking the contributions of Sikh soldiers during both World Wars. Also taking the opportunity to unveil their Centenary Fields plaque this week was Centenary Paddock (Saturday) in Leicestershire. 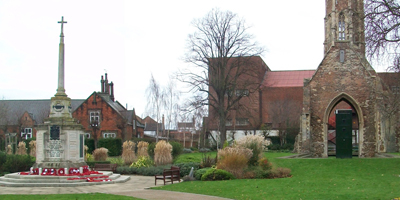 The space was purchased by Countesthorpe Parish Council to mark the centenary of World War I and memorial seating has been added. As part of yesterday's commemorative events a flag was hoisted and the nearby war memorial, which remembers 47 local men who fell during the Great War, was rededicated. £3 would have covered the cost of a month's worth of tea for an army battalion at 1918 prices. If you would like to help us continue our work to protect valuable parks and green spaces, please text CFLF18 £3 to 70070 to donate to Fields in Trust and make a difference today. Many of the spaces which have featured over the course of Centenary Fields Legacy have been or have included memorials to the fallen. Over 26,000 people who fell are individually named on these memorials and countless more are remembered as part of them. The Royal British Legion's Every One Remembered campaign has seen the public leave messages of remembrance for 1,060,174 people who fell during the Great War. The memorial at Dundee Law (Tuesday) was unveiled on 16th May 1925 by General Sir Ian Hamilton to remember the 4,000 people from Dundee who fell during World War I. The decision to erect a monument was taken following a public meeting and the memorial takes the form of a bronze brazier beacon on a tapered plinth made of Cornish granite. Ballyclare War Memorial Park (Wednesday) in Antrim contains an obelisk set on a plinth and tapered base with three stones of remembrance to those from Ballyclare who were killed or missing in the two World Wars. Wrought iron gates at the entrance to the park are inscribed to signify its status as a memorial area. Colwyn Bay's Queens Gardens (Thursday) is home to a bronze memorial statue, created by John Cassidy, of a World War I solider standing at ease. The statue was unveiled by Lord Colwyn in front of the original town hall on 11th November 1922 before being moved to Queens Gardens on the building's demolition in 1964. Finally, Victoria Embankment (Sunday) in Nottingham is home to Memorial Gardens which include a grand 46ft high memorial arch and gateway, flanked by a colonnade. The city's coat of arms sits above the main cornice and plaques on the arches remember those from Nottingham who fell during the two World Wars. 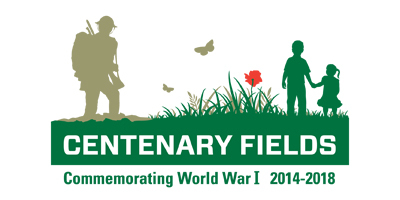 Throughout the week spaces protected as Centenary Fields have been holding special events to mark their protection as part of the programme. The majority have also held remembrance events and services today to mark Armistice Day and the centenary of the end of World War I. By the time the remaining protection instruments have been completed, the Centenary Fields programme will have protected in perpetuity hundreds of parks and green spaces across the UK, leaving a legacy of spaces which will always remain as places of living remembrance. Don't forget to visit our interactive online map where you can discover the stories of all the spaces featured as part of Centenary Fields Legacy. 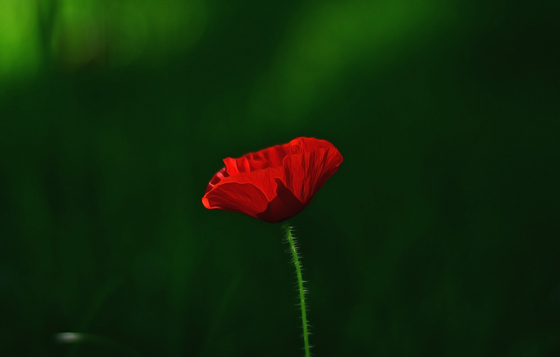 You can also learn more about the Centenary Fields programme and The Royal British Legion's "Thank You" campaign as well as find out how you can get involved.